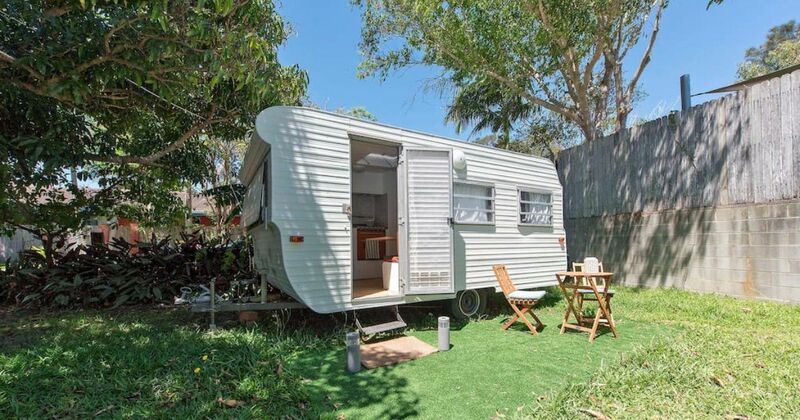 In the heart of Byron Bay, New South Wales, Australia, lies the cutest and most luxurious vintage trailer. 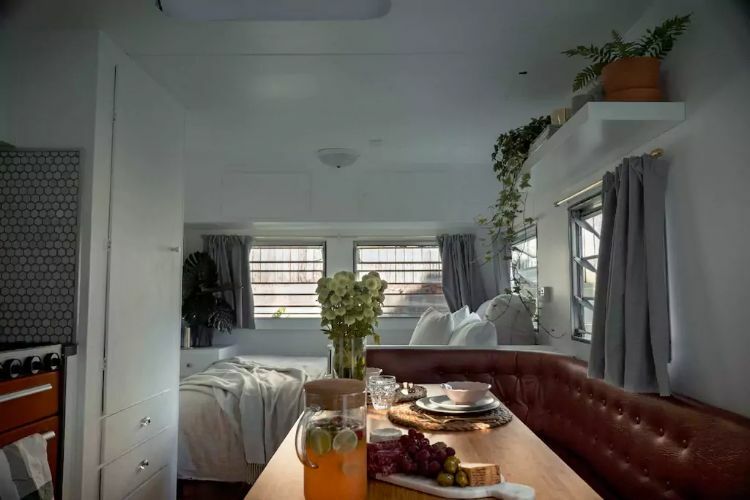 This glamper is a beautifully revamped 1970s Millard trailer. 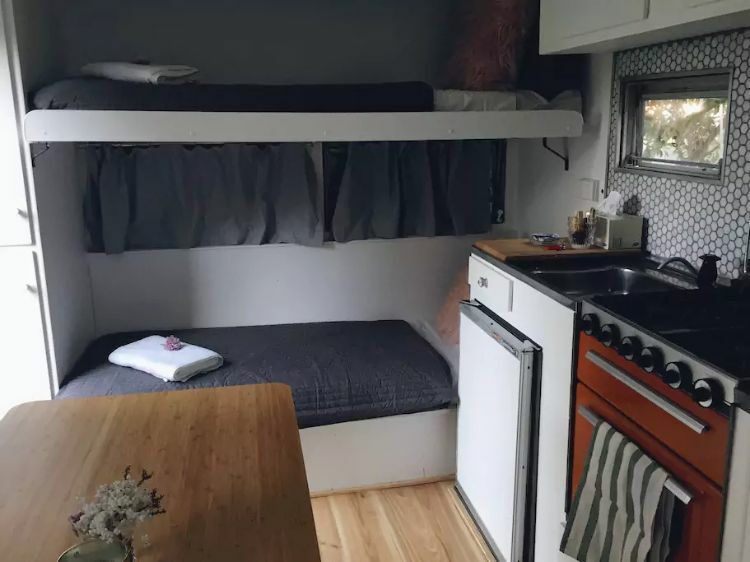 After its renovation, the camper was placed for rent on Airbnb under the name of Namastay Glampers. Just steps away from the beach, this cutie will make for the perfect Australian vacation. This is definitely not going to be your ordinary camping trip. Every aspect of this trailer is stylish, comfortable, and of course, glamorous. 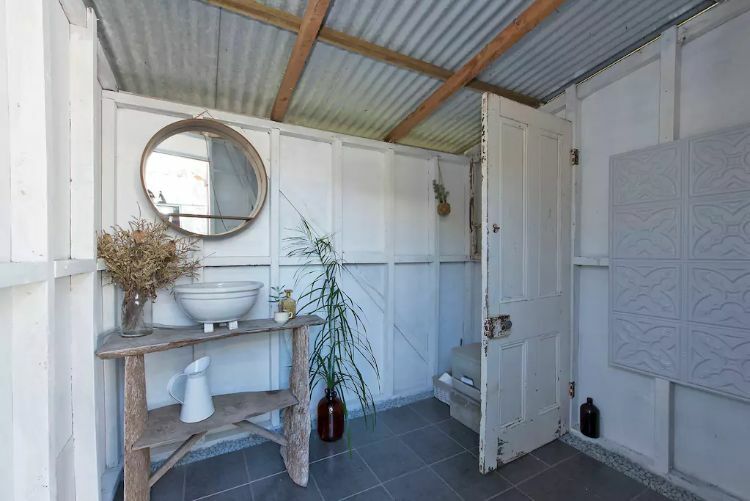 Despite its tiny size, this trailer is filled with character. Every aspect including the clean white color scheme, kitchen tiling, and leather dinette show off the host's impeccable taste for design. Just wait until you see the bathroom. 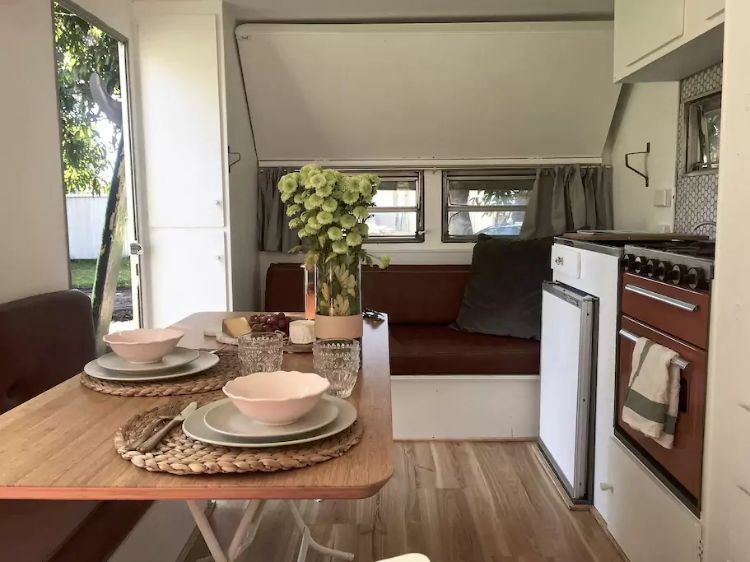 As soon as you step inside this little camper, you will fall in love with how full of life it is. Literally, you'll have the company of numerous potted greenery. 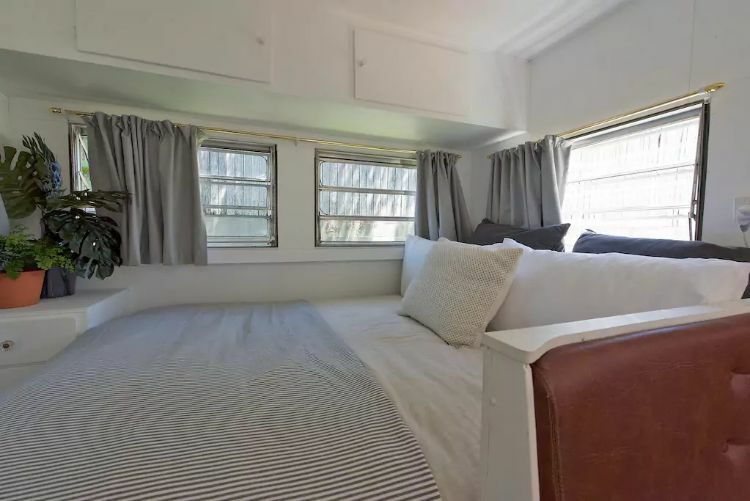 The camper is equipped with a lovely leather dinette as well as a leather bench for additional seating. 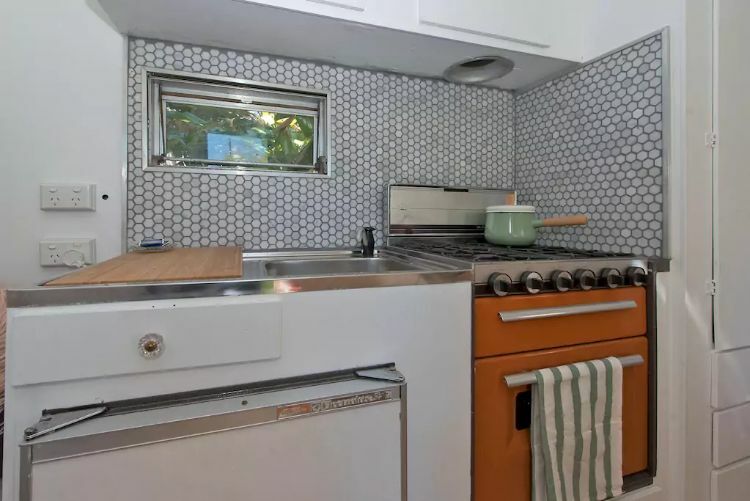 You won't want to head back home without cooking a great meal in this adorably decorated kitchen. We love how the orange oven provides a pop of color against the white color scheme. At night, the sofa can be converted into a bed. There is another bunk right above that can be hidden during the day and unfolded for the kids in the evening. Cuddle up in soft, organic linens when you crawl into this cozy double-size bed. The bathroom is separate from the trailer but we guarantee you will not mind the walk. Modern and rustic - you'll be wishing your shower didn't have to end. 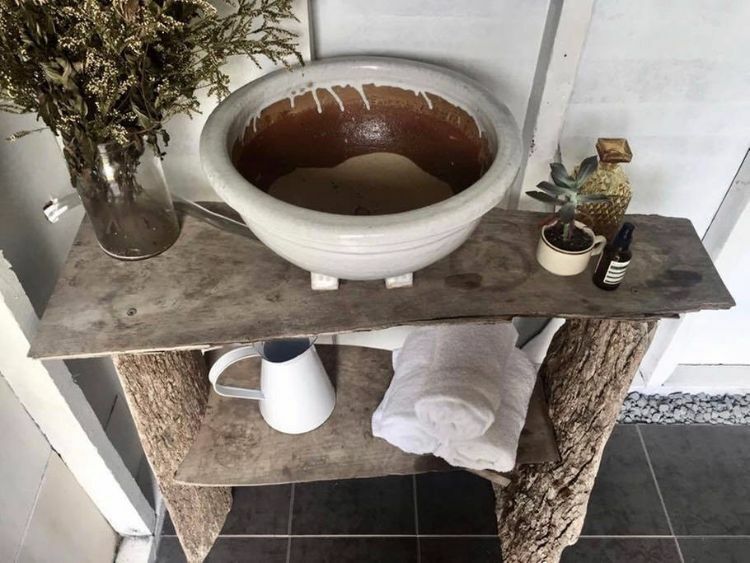 Look closely enough and you might even find some charming, handmade elements such as this wash basin and wooden table.